The Actraiser Symphonic Suite remains one of the best game music albums, and so is worth revisiting here, particularly the piece “Filmoa”. First, the idea of the symphonic suite, a moniker found in many an arranged game music album. A suite is basically an ordered set of music for concert. Sympnonic means it is composed for an orchestra, essentially a symphony, considered one of the highest forms of music – which further underscores the importance of music in games like Castlevania: Symphony of the Night, though here used perhaps more as metaphor than actual symphony (the original name, Nocturne in the Moonlight, refers to the “Moonlit Nocturne” piece, similar to how Rondo of Blood refers to the rondo “Bloodlines of Heaven and Earth”). Beyond this, you could basically say that orchestral arranges of the score to an entire game are symphonic suites. The Actraiser Symphonic Suite was arranged by Yuzo Koshiro himself and played by the Shinsei Nihon Symphony Orchestra (which often does anime music), conducted by Kaoru Wada. “Filmoa,” or “Fillmore” in the English translation, contains a small number of instruments found in Baroque (here the violin and cello). It also maintains a continuo – that is, a harmonic fill beneath the main melody that is also characteristic of the Baroque. This is played here on the cello, though often in Baroque it was played with harpsichord. This is replaced in the Classical era with the use of chords for harmony. The piece ends in a cadence, or a series of chords definitively ending a section, something more characteristic of the Classical era. Also, unlike most Baroque music, “Fillmore” is less designed as a dance (the music was, after all, often accompanied by dancing) and more a desperate struggle. “Fillmore” is perhaps more striking for how it was arranged from the original piece. Actraiser‘s “Fillmore” is Stage 1, a forest filled with fierce monsters (including giant apes!). The piece has melody largely dominated by organ and supported by strings and rock guitar, maintaining a steady drum beat. This unique gothic rock is a far cry from the moody strings found in the Symphonic Suite and a testament to the versatility of the form. The original compositions were made on an FM Soundboard II before being ported to the SNES. The music sounds much closer to the MIDI of the X68000 rather than the full, boomy sound of the SPC7000. Yuzo Koshiro created his own sound library for the SNES, allowing him to create music that was of much higher quality than most other companies at the time, who had to rely on Nintendo’s spotty service and poorly documented hardware. Both versions of the Actraiser soundtrack were arranged in Yuzo Koshiro BEST COLLECTION vol. 1, which is now on iTunes as three separate albums. Legacy of the Wizard (Dragon Slayer IV – DraSle [Dragon Slayer] Family, 1987) is an amazing early soundtrack by Yuzo Koshiro (ActRaiser, Streets of Rage). The game is not very well-known, but Yuzo Koshiro is certainly a famous name, and this is a good entry from his early years. Though each track is only 30 seconds or less long, Mr. Koshiro often manages to fit enough material into each song to make it feel like it is twice that length. The entire soundtrack has this nice, storybook quality to the soundtrack that makes it an excellent listen. In Legacy of the Wizard, you play as the Warzen family, descendants of a warrior who slew a dragon many years ago. Each character has his or her own special ability. Meyna is the mother of the family, a flame-wielding sorceress. Her theme is divided into only two parts, both whimsical and and bright, with a feminine touch. The loop is only 25 seconds long, but this is enough to manage a tight, memorable melody. 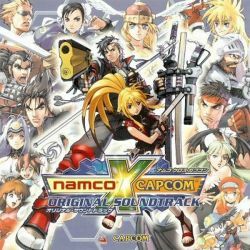 Namco x Capcom (read Namco cross Capcom, 2005) was a nostalgic crossover game mixing characters from the long history of Namco and Capcom. They cooperate to save the world from an evil outside of time. The game was only released in Japan, probably due largely to the fact that many of the source games were released in Japan only. However, there is now a patch for this game that lets you play it in English. The soundtrack combines themes from both companies’ long histories, and many of the arrangements are excellent. Still, the main theme, “Brave New World” is what really stands out from the rest – the song, composed by Yuzo Koshiro, is incredibly catchy, and matches many of the game’s underlying themes. “Brave New World” works best as a trance/dance, referring not only to contemporary anime main themes, but also drawing from the dance like nature of many traditional game tunes. The recording of flair performing the music is high quality, with a little distortion of the voice over the microphone, another feature found in many Japanese pop songs. I’m not quite sure of the history behind this style, but it seems to suggest an ideal form of the singer, a voice disembodied from the physical. The vocals and melody communicate a quest of seeking an ideal through hope, struggle, and friendship. I find this ideal reveals a tinge of sadness as well, something that is also present in the nostalgia factor – a desire to relive a lost time. The repetition and call/response of the two main elements of the theme reinforces these themes. In all, it is a fully mature work of Yuzo Koshiro. Read the rest of this entry ? 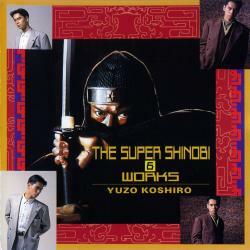 I was going through some old Slightly Dark albums on my drive today and came across some music by Yuzo Koshiro. I’ve always been a big fan of his Actraiser work, but this was the first time I sat down and really listened to some of his music. Koshiro’s style of action music is very hip, with a dance and pop feel to it; in some ways it reminds me a bit of Michael Jackson. It’s very distinct and you can often spot a Koshiro piece simply by listening to it. This song, “Flash Flash Flash”, is from the shooter Bosconian for the X68000 (a Japanese personal computer famous for many popular videogames such as Akumajou Dracula). It is from The Super Shinobi & Works (1989), a compilation of music and arranged pieces from Shinobi 2 on the Genesis and Bosconian. “Flash Flash Flash” has a strong guitar intro, which coupled with the main melody give it a nice sense of drama. The bells give some nice highlights and serve as counterpoint to the guitar. There’s also a nice synth series of and guitar solos beginning at around 1:35-2:10, which integrates a nice sense of dueling with both guitar and synth vying for dominance. This could be seen as an interplay between the spaceship and the enemies and so fits nicely. The only downside to this track is the ending, which is too sudden – it needed a little bit more build instead of ending kind of flatly. It’s interesting to note that this structure of “Theme-Variation 1-Guitar Solo-Variation 2-Build to Finish” is found in nearly every major vgm arrangement, a five-part formula that is probably best demonstrated in the Dracula Battle arrange albums. This seems due in large part to the structure of vgm as looping audio: the same tune plays over and over and over again in the background of the stage. It’s fun to listen to, but the artist wants to try something different and so adds variations to the main theme. He adds a little of his own flair and originality through the guitar solo in the center, then follows up with a reprise of the main theme before building to the finish. “Flash Flash Flash” is played with Yuzo Koshiro on the keyboard and Hiroshi Nagashima on the electric guitar and is a nice example of the genre. I will also say that nearly all of Koshiro’s albums have a photograph of him posing in a nice, dapper suit, which I think gives a bit more sophistication to his music. Thankfully, he didn’t get obsessed with plastic surgery! About the game: Bosconian is a multi-directional shooter originally developed by Namco in 1981. 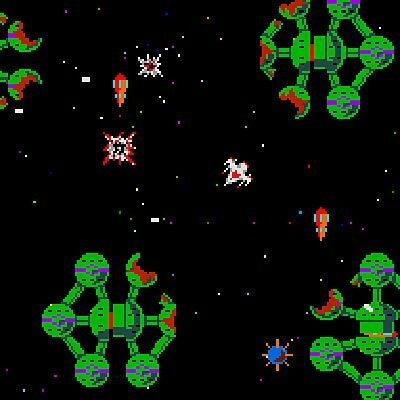 The player gets to fly the spacecraft in eight directions in a large, free-scrolling map, a mechanic that is more widely known in Thunder Force II. Today’s Daily is an absolute classic. This is the Symphonic Suite from ACTRAISER (1991), one of the best vgm albums of all time. The soundtrack is an orchestral remix of the Super NES classic, ActRaiser (1991), composed by Yuzo Koshiro, who also arranged the symphonic suite. I first discovered this album back in the late ’90s and have listened to it off and on for over ten years. The original compositions were amazing, and the orchestral soundtrack takes them to a completely new level. ActRaiser is epic. The music perfectly captures the feel of Dark Ages and Viking action when men with swords fought monsters – in fact, I was studying Beowulf at the time, and considered this to be an equivalent to the poem’s soundtrack! I regularly give a copy to my Medieval professors. This battle mix contains the miniboss, level boss, and final boss themes. The snare drums are driving, and the big brass gives a fantastic feel to the size and ferocity of the giant monsters the player has to fight. And just when you think they’re down, then another one appears! He left it dead, and with its head, he went galumping back! Note that the arrangement takes each of the battle themes and plays them twice, but with enough variation and integration that it feels like one complete composition, due in large part to the fast pace of the song. 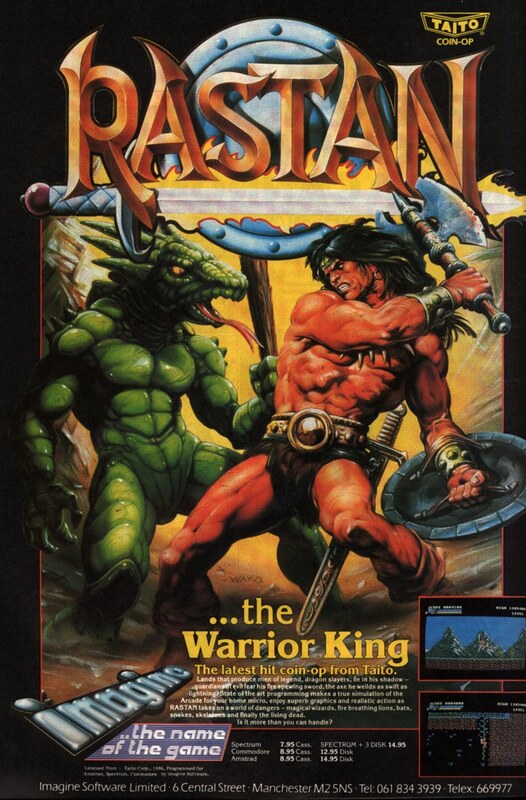 In the game, the player takes the role of God, who lands on earth as a human warrior and must rid the world of demons in order to rebuild civilization. Read the rest of this entry ?